What does living an active lifestyle mean to you? Being active is essential to my wellbeing. It means being able to stay both physically and mentally fit and being engaged in my community. What is something people don’t know about living in a wheelchair? There is so much more going on then just not being able to walk. There is pain, spasticity and loss of bowel, bladder and sexual function. That being said, so many of who use wheelchairs due to various causes, learn to overcome these obstacles to not only survive but thrive. 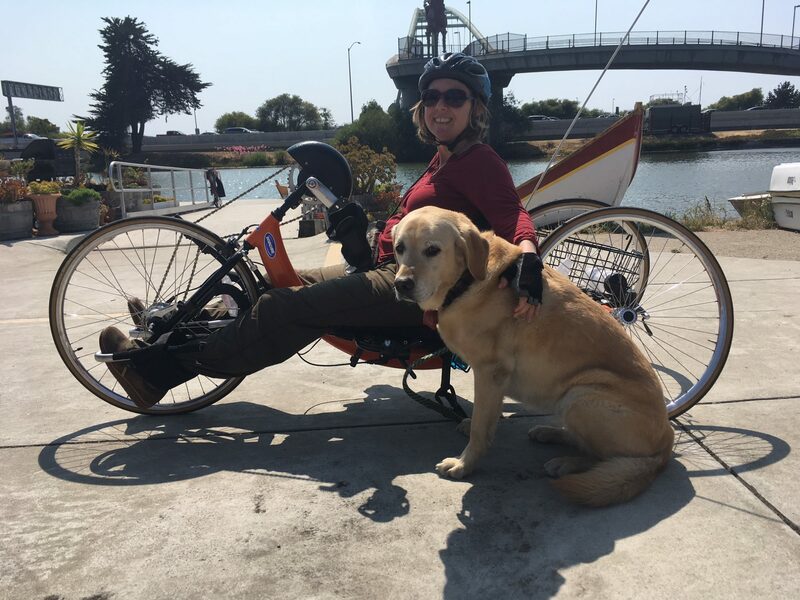 Why did you want a handcycle? I started cycling at BORP (Bay Area Outreach & Recreation Program) a few years after my injury and was automatically hooked on it. It’s the one thing I do where I can get a great workout and be outside-two things I love. Best experience using your handcycle? Every year BORP has a cycling fundraiser in Sonoma, CA. Riding 20 miles through the beautiful countryside with cyclists of all abilities is my favorite day of the year. What has the KBF grant meant to you? I am very lucky to have BORP’s cycling center and have used their bikes for many years. But, these bikes are shared and I would often have to readjust the bike each visit or sometimes wait for a bike to be available. Now I can customize my bike to fit my needs and my rides have been so much better. What is the best piece of advice you have gotten? Hmm. In terms of being in a wheelchair? I guess just to have faith in my abilities to overcome and succeed. Any tips/tricks for someone who is new to a wheelchair/adaptive sports? With cycling, I would suggest that if you are having difficulties, to play around with the adjustment of the seating. Sometimes just an inch can make a huge difference in performance and comfort. Any final thoughts? Just that I am extremely grateful to the KBF for giving people the ability to pursue a healthy, active lifestyle. Also, you don’t have to be a total “jock” to be an athlete. Just go out and have fun!